The smooth and creamy E.P. Carrillo New Wave Connecticut cigar is just one in a series of successes brought to you by Ernesto Perez-Carrillo since he started his family run company in 2009. The mild to medium-bodied New Wave Connecticut is full of flavor from start to finish with notes of buttery cream, nuts, and cedar. Handmade in the Dominican Republic, this cigar is well-constructed with a beautiful Ecuadorian Connecticut wrapper surrounding a Nicaraguan binder and wonderful blend of Nicaraguan and Dominican filler. 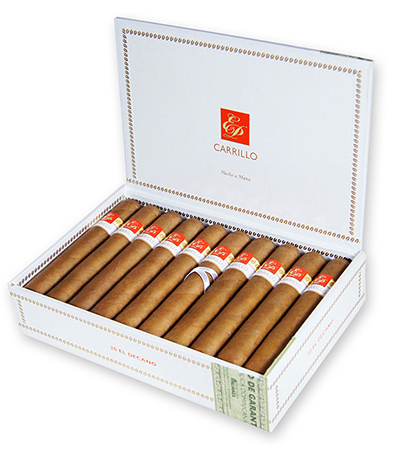 Unlike other cigars in this strength category, we think the EP Carrillo New Wave Connecticut will please even the medium- to full-bodied cigar smoker.